Per Se Gallery is happy to be able to offer a full range of Luminosa Lighting. These unique hanging, hand blown glass lamps celebrate Mexico with their eclectic shapes and variety of colors. Inquire here for more information. All styles of Luminosa lamps look good by themselves or hung in a group. There are infinite architectural possibilities when hanging them at different heights or with a variety of colors and shapes. The Cacahuate mimics the shape of peanuts. In Mexico, peanuts are associated with fun and festivities including the posadas (9 days leading up to Christmas.) They can be used to fill a traditional piñata. It is this spirit that the shape brings to any room in the form of the Cacahuate lamp.The Tamarindo, or Tamarind, is similar to the Cacahaute with an extra curve in the middle. Tamarinds are also very popular in Mexico. The curvaceous pod-like fruit is the inspiration for one of Luminosa’s favorite shaped lamps. The Rustica lamp celebrates Mexico’s esteemed history of hand blown glass. The Spanish introduced glass to Mexico in the early 16th Century, before it reached any other country in the Americas. Rustica imitates the antique style of bubbly glass in a sleek and modern form. 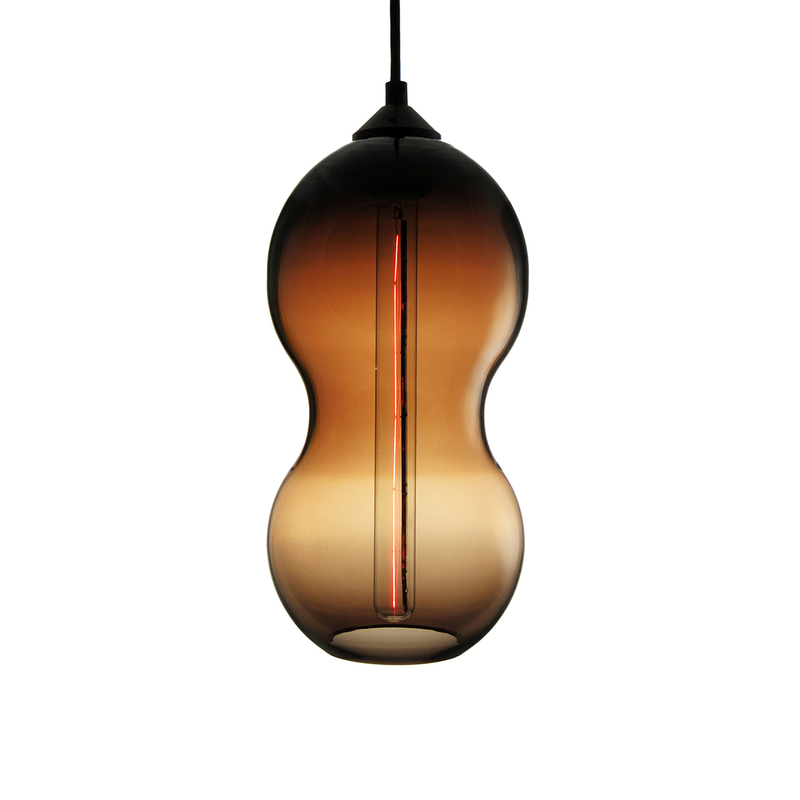 The Twister is a modern day take on the traditional wire and glass lamps. The handmade pieces use the traditional steel wire technique to make each one unique. The delicate nature of each piece creates an extraordinary optical effect when lit.